Using QuintaDB you can create and embed your own web form or database into any web site you need in a few minutes. Design menu can be found in 'Widgets' section for 'Form'. Same for 'Table' or 'Report'. 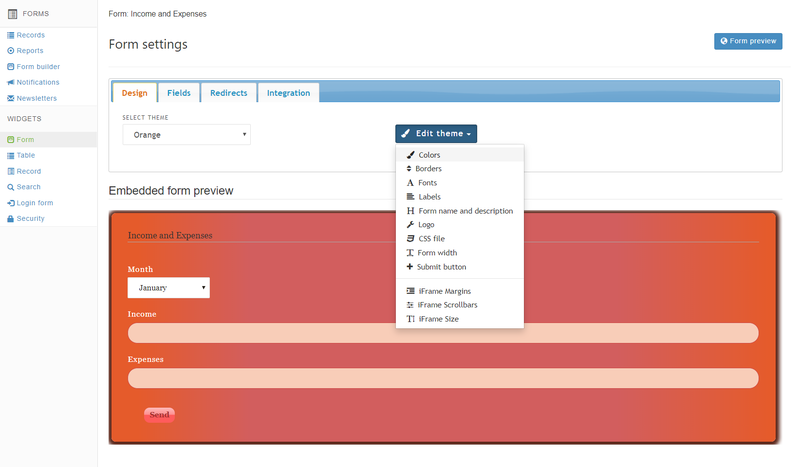 You can select pre-defined design template or manually change various settings.